"There's more to me than you know . . ."
When Matt Archer's sister, Mamie, said those words to him three years ago, he had no idea how prophetic they were, or what this would mean for his family. Now, he knows. And it changes everything, bringing the war right to Matt’s doorstep. 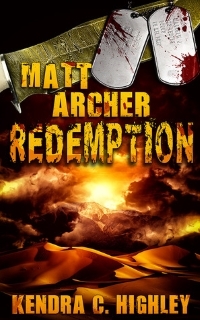 In the epic conclusion to the Matt Archer series, the endgame is near. Betrayed by an enemy, the wielders have been called off the hunt by their own government, despite increasing reports of paranormal activity—and deaths—worldwide. Matt is forced to sit on the sidelines, knowing that proving monsters exist means revealing who—and what—he is. Soon the world will know his name . . . which will only make his job harder. Matt’s only hope resides with a man he barely knows—his father. If Erik Archer can put together the final puzzle before the monsters do, maybe they’ll have a chance. Maybe. Mystery, tragedy and the power of family combine as Matt races to win the war and save the people he loves. There’s just one thing he’s afraid of . . .